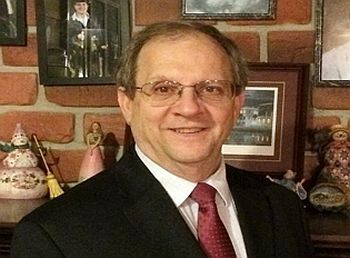 After 24 years in the fleet industry, Joe LaRosa is retiring this April. Over the course of his career, he directed global fleet operations for Bristol-Myers Squibb, Merck Sharp and Dohme, and Ascensia Diabetes Care, and did work as a consultant with Mercury Associates. A long-term member and officer with the NAFA Fleet Management Association, in 2017 he was awarded Honorary Lifetime Membership, one of the highest honors NAFA can bestow on an individual. In 2008, he was named Fleet Manager of the Year by the Automotive Fleet Leasing Association (AFLA). What are the biggest changes in fleet that you’ve seen over your career? I started managing fleets in 1995 and since then there were three areas of major change that affected me personally. The first was consolidation at every level of the fleet ecosystem, from OEMs to FMCs and business units and their fleets. The second was the trend toward globalization of fleet management, which was part of a concerted effort to achieve the kinds of cost reductions you can achieve through larger transactions. At first, this happened at the regional level, meaning North America, Latin America, Asia-Pacific and Europe and the Middle East. From there, you started to see a more robust effort to move to a global scale. The third was an increasing emphasis on safety. 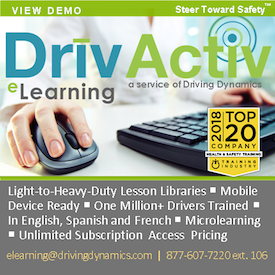 This moved from monitoring driver records to creating driver training programs, followed by predictive analysis to identify higher-risk drivers and to match them to the proper training. So, this led fleet to play a more active role with safety partners at the corporate and global level. The purpose, of course, was to reduce collisions and, ultimately, injuries and all their associated costs. From your point of view, how has the fleet manager’s job changed? Its scope has grown tremendously. At first, my concept of my job as fleet manager was just a financial role, but it evolved quickly to becoming a business owner of sorts of probably one of the largest indirect budget expenses outside of travel that corporations have to monitor and control. With that said, fleet managers have become not only financial analysts and leaders but the authors of operating policy, internal auditors, procurement specialists, business law contract experts, and safety experts, and well-versed in HR benefits and policies. From what part of a corporation do fleet managers face the biggest challenge to their authority: procurement, travel, health and safety, finance, or somewhere else? I believe the challenges have come from overall corporate strategy itself, particularly in the pharmaceutical industry where in the mid- to late 2000’s fleet management was no longer considered a core component for business operations. Hence came the move to considering fleet as a commodity in the Indirect spend category of procurement versus being a separate and distinct fleet management operation under finance or sales operations. Today, most fleet managers I speak with are still concerned about the fact that as a commodity fleet management has become more of a “cost containment or reduction” center at every level of the fleet process rather than having a strategic business role that adds value to the sales department or facilities department, who the fleet department typically considers their internal business clients. The fleet industry is undergoing perhaps its greatest period of change ever, from fuels to digital technology, big data to mobility. What advice do you have for fleet managers to keep up with that pace of change? Today, the fleet industry is far more complex than when I started. Just a few years ago, one of the more difficult decisions was whether to offer leather seating to managers or making that a driver-paid option. That seems trivial now compared to the issues fleet managers have to deal with today. My best advice is to keep asking questions of your OEMs and FMCs. They are out front on these changes and have the resources and knowledge to provide the answers. Additionally, I would utilize the industry publications from both NAFA and AFLA, and others, like Fleet Management Weekly and its competitors. Attending trade association conferences is also important, but they’re only held once a year, so your questions on fuel technology, driver monitoring, using big data to improve fleet management decisions, and how and when to look at MaaS [Mobility as a Service] shouldn’t be put on the shelf until you attend an industry resource. I also would urge fleet managers to be proactive by asking all your questions as they come up, and not to be apprehensive in suggesting to senior leadership that there are changes happening in the industry. Remember, executives read the internet as much as anybody else, and what better way for them to obtain information than from someone on their payroll! How close are business fleets to embracing some of those changes? 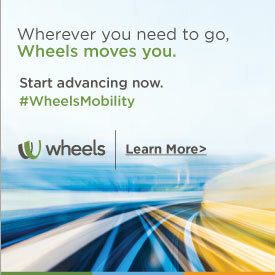 How about electric vehicles, changing from fleet to mobility management, and adopting advanced driver assist technology? The changes coming will always need to be challenged as to whether they are really saving costs or just a new idea that everyone else is trying to push in the industry. Personally, I find the changes quite intriguing, particularly when I analyze certain fleet costs and find that a majority of fleet drivers and companies would benefit from a choice of mobility for drivers that would generate cost savings. I recently made a proposal to a European fleet team that involved MaaS alternatives for the company and it was well-received, at least as a possibility worthy of further research. It all boils down to cost and strategy to keep mobile employees on the road, providing choice, and ensuring that they are receiving value for their hard work. Driver assistance technology should be adopted where it makes good business sense, in terms of improved drive route efficiency, driver safety and protection as better asset utilization. The best example I came across was involving a tracking system for drivers in an Eastern European nation where more women have entered the work force. Those women welcomed the technology for its safety benefits. That was a no brainer for that fleet to install the devices. What have fleets asked you about most recently? EVs? Safety technology? Connectivity? Mobility? Mobility as a Service is redefining the way fleet managers offer vehicle solutions to their drivers. Again, this is not an all or nothing solution in my opinion, but should be considered as another alternative to the traditional fleet lease alternative. Getting management to consider this alternative needs to be well planned and you need to get buy-in from leadership at every level: general manager, sales, human resources and finance. What do you regard as your greatest achievements in fleet? I believe the greatest achievement I made in fleet management was the friendships and comradery that I made with hundreds if not thousands of persons in this industry over the past 25 years. This includes the newest as well as the oldest of colleagues in the industry, from my first contacts –Harry Chouinard at Wheels and Jim Rallo of PHH — to my most recent, Adam Seifert at ARI. Yes, the recognition and achievement awards were great, but the people behind those awards are what mattered. What were your biggest disappointments or unfulfilled goals? As a global fleet director and previous role as a senior internal audit manager, I had the opportunity to travel to nearly every continent except one: Africa, and approximately 40 or so countries. Otherwise, it has been all good for me. I thank my wife and kids and now my grandchildren for a wonderful journey and look forward to the future of spending their inheritance, mostly on them! What are your plans for the next 10 years or so? Are you planning to remain in the fleet industry in some way? My immediate plans are to maintain my CPA license and small business advisory and tax practice clients, at least until the end of the next year. Additionally, I will continue to preside over my family’s Private Foundation as President and CEO and continue to fulfill my late parents’ philanthropy. Within the next year or sooner I will probably relocate out of New Jersey and move closer to my three children who have made career choices that have landed them in Maryland, Virginia and Florida. Additionally, I’ll will keep up with the fleet industry, thanks in large measure for NAFA for awarding me a lifetime membership, so I’ll be ready and willing to help fleets across the globe as long as there is a need.